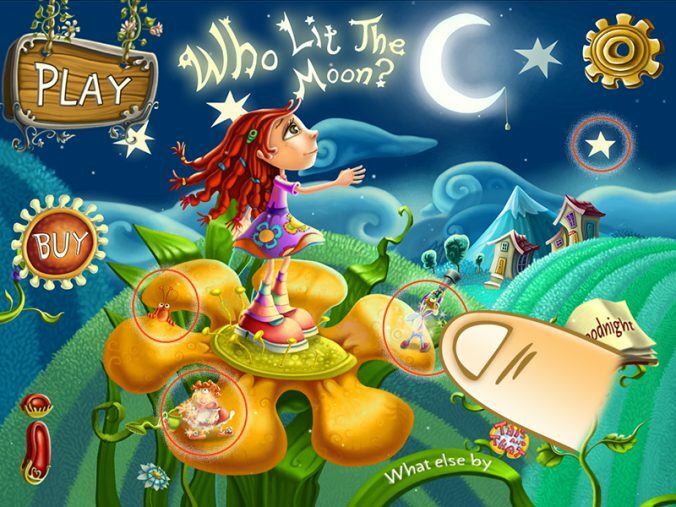 “Who Lit the Moon?”, however, is so rich in action and details that kids can play it over and over again and still discover new inspiring features. Every level is completely different from the previous one, yet logically connected to it and to the fantasy world of the game. Kids can thus play as many times as they want and still discover new magical features with the help of their fairy friends. 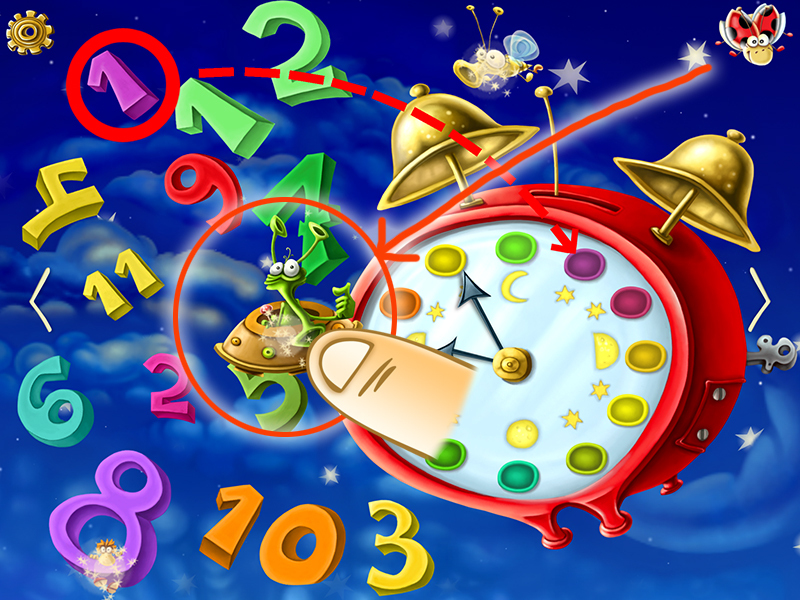 The game is completely interactive and literally every object and character is waiting to be moved around, which makes the app very suitable for kids who have a hard time keeping their focus on one and the same activity. 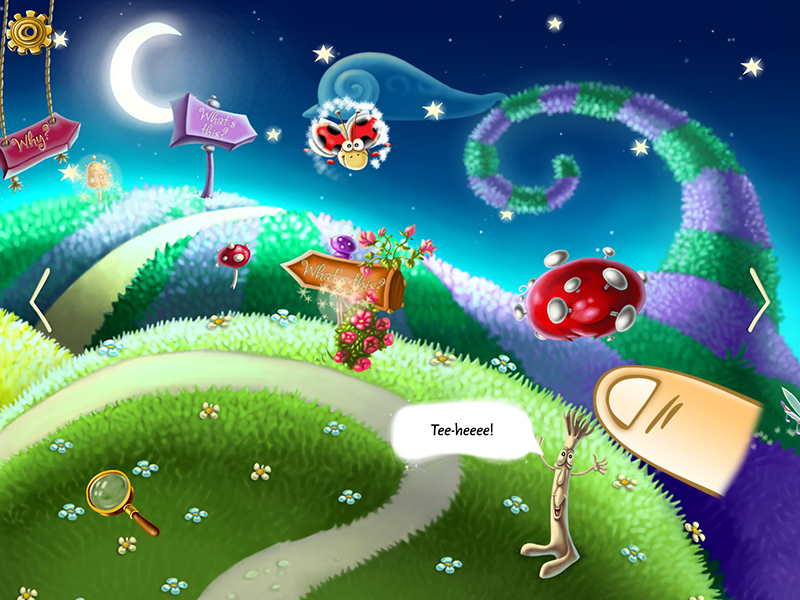 Many of the fun features of the game remain hidden, ready for the children to discover them on their own. Here’s just a tiny part of the myriad secrets of “Who Lit the Moon?”. Every object in the game can be moved around, with the game being dynamic and lively from its very beginning. In the image above you can see the opening screen. If you click on Thelma More she reaches for the moon. If you click on the lady with the watering pot she begins to water the flower. 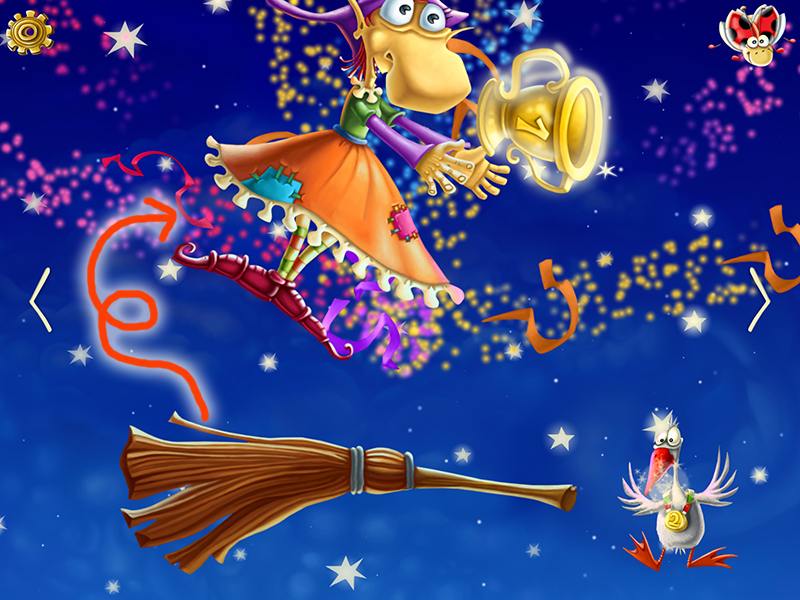 At any given moment of the game, when touching the stars in the sky they begin to flicker and tinkle. 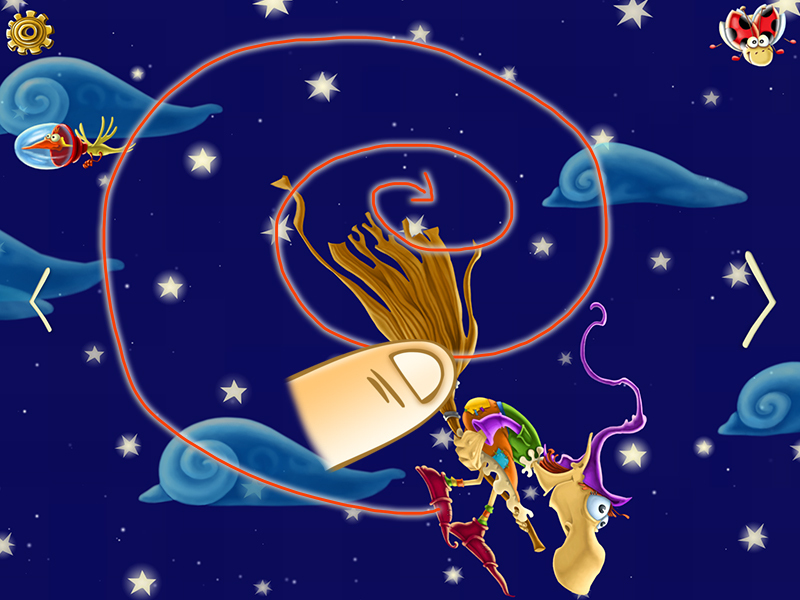 allows kids to get to know the fairy world of This and That and experiment with it. For example, you can drag the little insect and move it all around. If you only touch it, it makes a funny sound. Even the hill in the background reacts to touching by gently expanding and contracting. When touched many characters react by saying or doing something. Like Mushrooman on the image above, who throws his hat in the air when being touched. 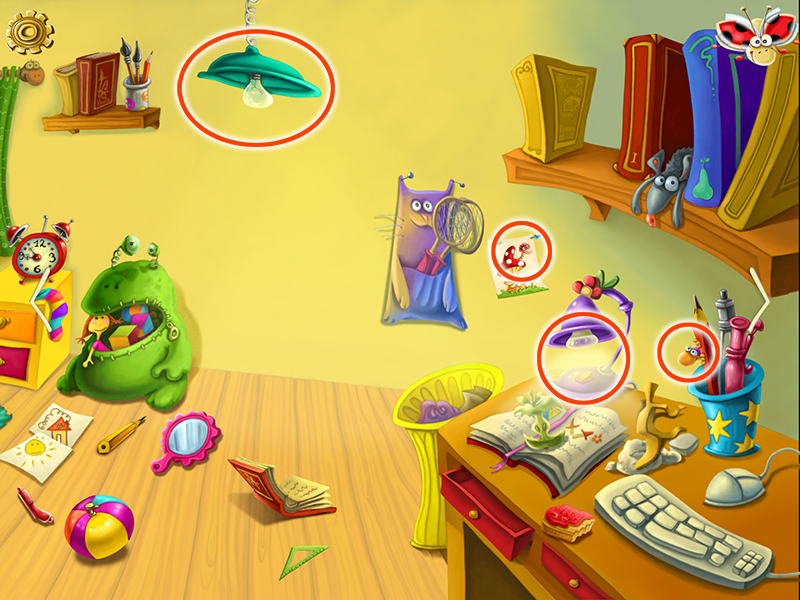 In one of the first games in “Who Lit the Moon?” the kids must help Thelma More and clean the mess in her room by placing the objects at their places. On the ground there’s an MP3 player who needs to go back in the dresser. However, if you do put the player on Thelma’s ears, it starts playing music! In the very same game there’s a few more surprises waiting for the curious kids to discover them. For example, when touched the lamp begins to sway about. If you click on the painting on the wall, a small worm pops up, and the desk lamp can be switched on and off when touched. And you can actually tickle Thelma and make her laugh, when you move your finger over her body. 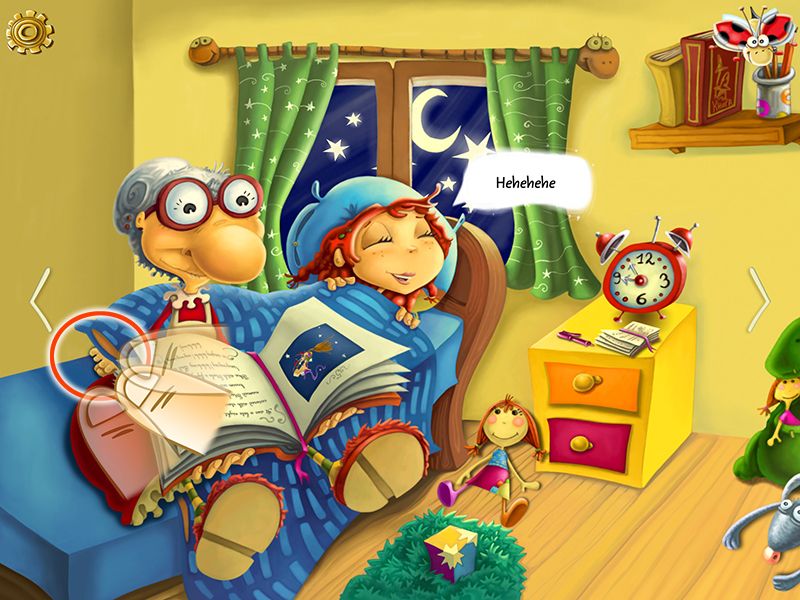 On the next screen, while Thelma’s grandmother reads her the story, Thelma’s toes can be seen under the blanket. If you rub them with a finger, Thelma gets ticklish again and giggles. In the very same screen kids can play with the doll and the mouse on the ground by moving them around. If they click on the umbrella, it jumps up and when touching the pen on the bed stand, the pen starts writing in the notebook. Later, when the kids follow Starla the witch in her adventure towards home, they can practically play with all objects on screen. 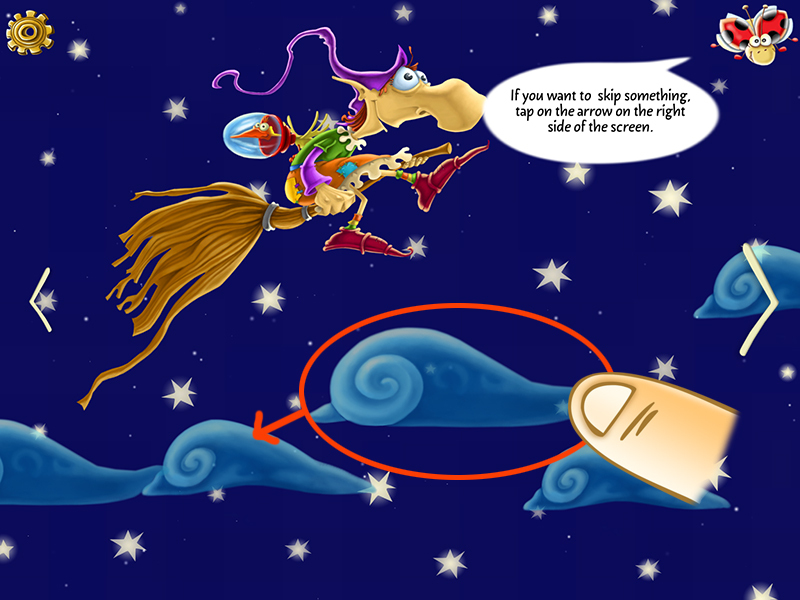 For example, they can move the clouds around and when touching Starla, they can swirl her in the air. 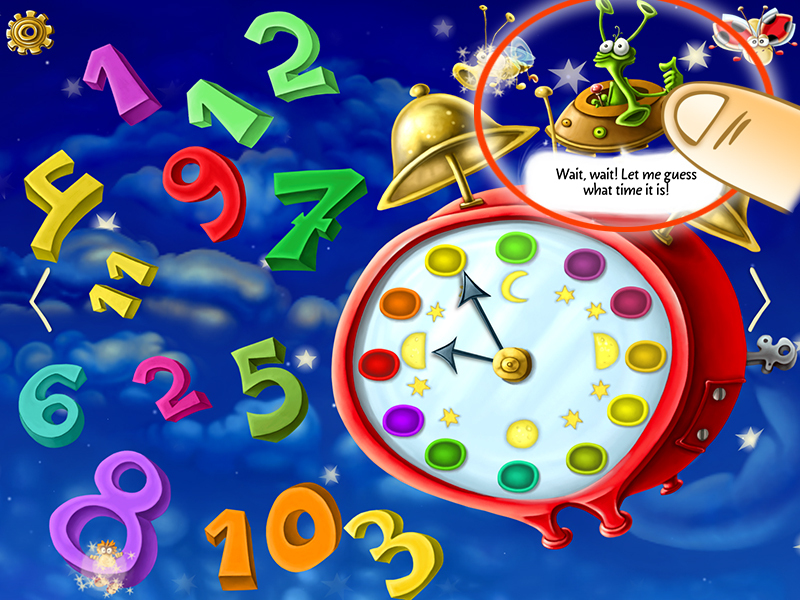 During the game where kids arrange the clock cyphers, there’s a bunch of characters on screen that tell kids whether they placed the numbers in their right place, but also react to touching and speak. 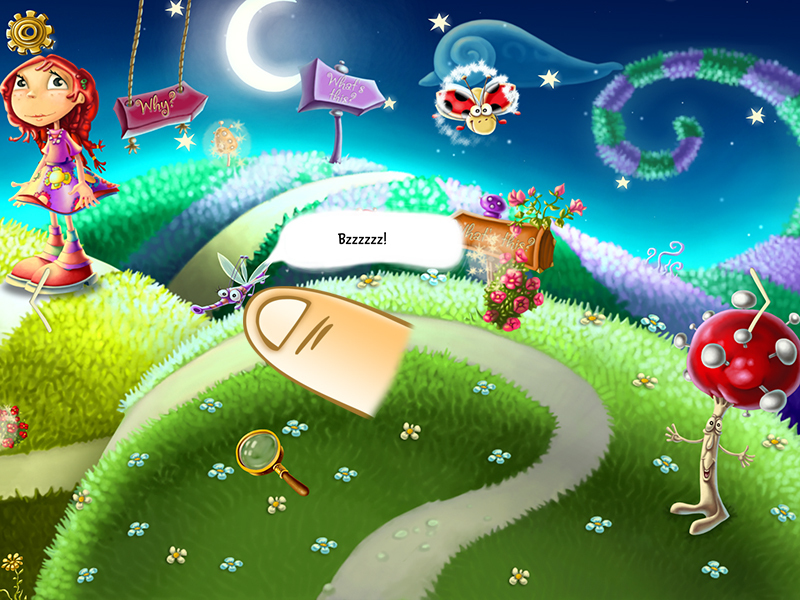 The second part of the game is equally full of surprises for the curious ones. In the level shown on the image below, they can draw on the sky with a fireworks effect. 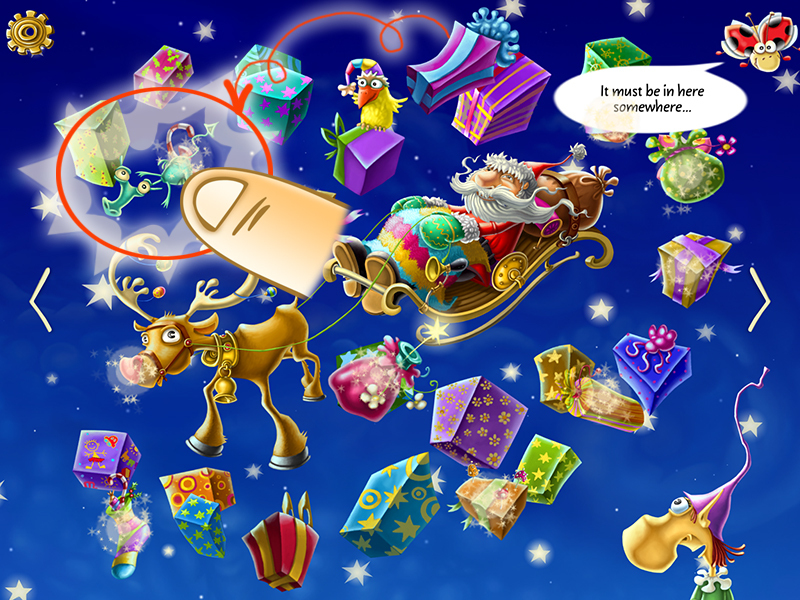 In the second part there’s also a game with Santa Claus where kids must find a specific present. But if they’re curious enough to click on all presents, they’ll be surprised to see different objects and creatures popping out. 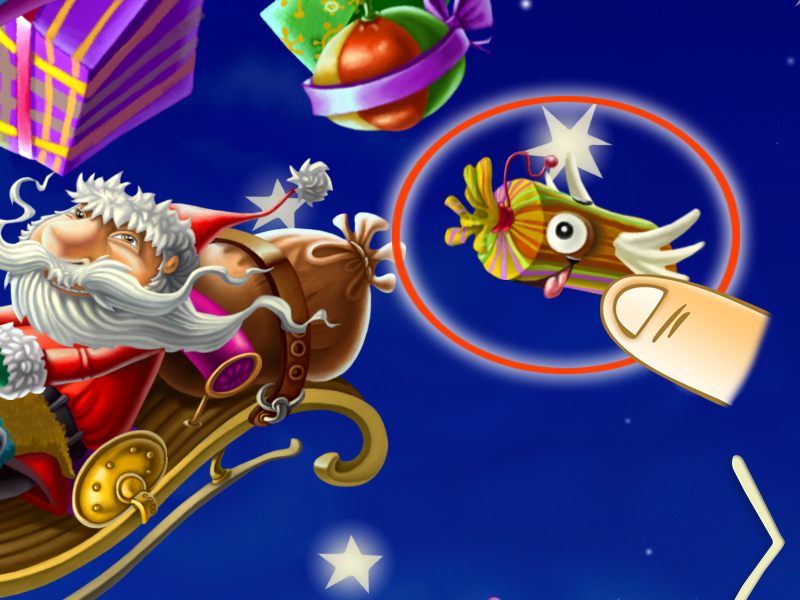 For example, one of the gifts turns into a funny bird which kids can move around the screen. are truly endless. 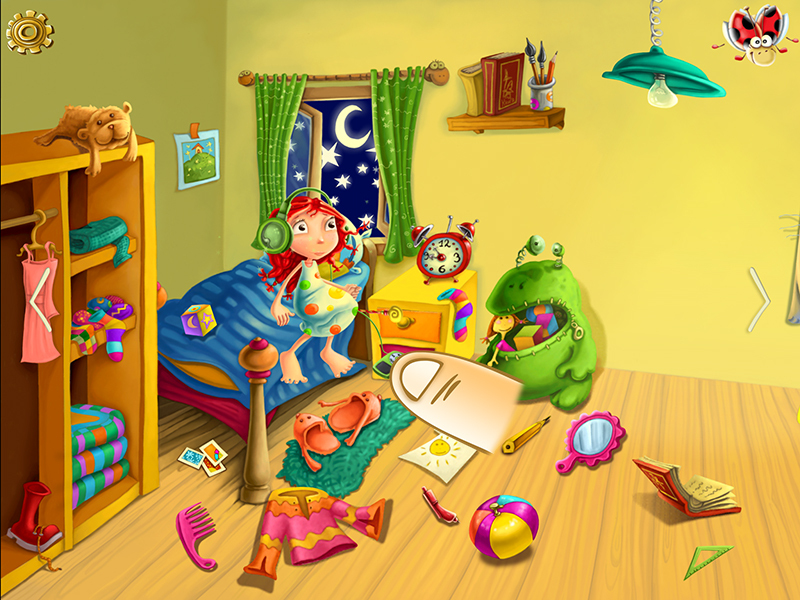 It’s a boutique, masterly animated educational app which main mission is to endlessly stimulate kids’ imagination. Many of the features in the game are not announced with a clue. Thus, the curious kids can discover them on their own and they can keep playing the game over again, with the very same excitement each and every time. If you can’t help yourself but be curious about the fantastic world of “Who Lit the Moon?”, go ahead and download the app from Apple Store and Google Play.